The total number of smartphone users will reach 2.5 billion in 2019 and the number of apps is growing equally as fast. With more than 2 million iOS based apps and 2.1 million Android apps registered in the third quarter of 2018, mobile apps have shifted the digital world, establishing new rules for online advertising. These rules change faster than a smartphone update. With the increased attention to brand-safety and privacy, the next 12 months will be game-changing for mobile advertisers, publishers and app developers. 2019 is the year you need to break through the noise while keeping up the positive user experience. Despite the fact that changes are mobile marketer’s new daily routine, here are five factors that will most likely influence your mobile marketing strategy in the upcoming year. The AI market is growing fast and expected to exceed $100 billion in 2025. According to Gartner, the top-200 largest companies in the world will fully rely on apps based on AI and machine learning technology. AI services help identify hidden patterns while cutting out manual work: evolution of AI enabled app developers to implement this technology into their app without the help of data scientists. Together with Machine learning, AI helps with getting real-time stats and valuable insights about any and all data. The best example of an AI-based app is Google Allo. This is a smart messaging app for IOS and Android which features Google Assistant, emojis and stickers. 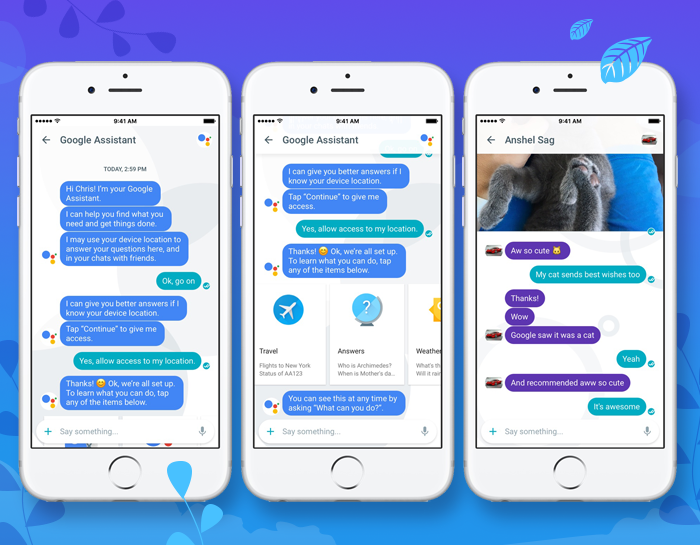 This AI-based app brings chats to the next level. Although AI has been trusted by many app developers and became a real success, machine learning still has room for improvement. IAB research has shown that consumers create their own points of “prime time” engagement through the day. The advertiser needs to capture the user’s attention at the point of maximum engagement while giving them the opportunity to choose the appropriate level of personalization. Personalized experience is important, but so is privacy. The Salesforce study shows that 65% of users believe personalization enhances their brand loyalty. At the same time, users value data privacy. This caused a controversy in the online ecosystem: companies like Google or Facebook asked for private information to “provide a better and more personalized user experience”. On the other hand, the GDPR implementation forced Europeans and the rest of the world to clarify WHICH information is gathered and WHAT will be done with it. Users believe that GDPR won’t drastically affect personalization and it will remain a continuing trend for 2019. Mobile app developers tend to scale their games first and monetize them later. The more popular the app is, the higher the revenue will be. With all the monetization strategies involved, it’s usually hard to get into the top 5% in terms of revenue. 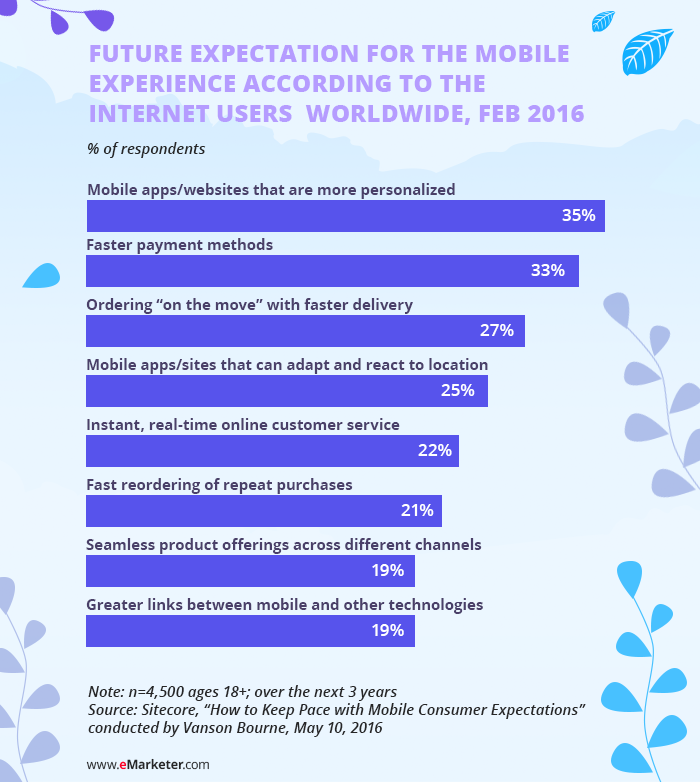 Here’s why the new, complimentary app monetization models are gaining popularity worldwide. Data monetization is among the latest monetization trends that gained popularity 2 years ago. It’s the process of gathering, analyzing, transferring, and the segmentation of non-personal information about app users. Data monetization has proven to be a valuable source of additional revenue for apps with high DAU and operating in Tier-1 countries. Being fully GDPR compliant, data monetization requires users’ consent before starting the process of data gathering. A simplified UX helps users navigate quickly and find exactly what they’ve been looking for. Mobile app design needs to predict user behavior, be clean and provide holistic mobile experiences for their app users. 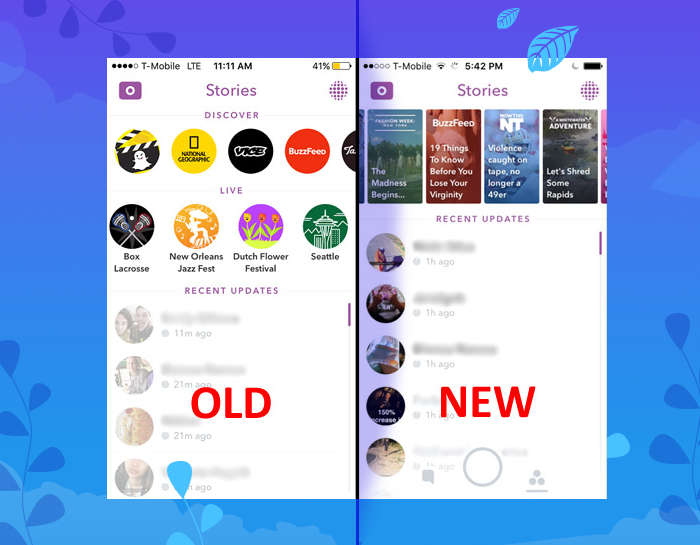 Remember Snapchat’s redesign: a while ago they’ve changed the well-known app interface and gave more space for custom content and media partnerships. User reaction on the new Snapchat features were horrible: they claimed that the new Snapchat is more difficult to use and then signed a petition to bring back the good old design, so Snapchat had to reverse it. They rolled back their redesign, throwing away their 4-month efforts and the costs they put into app development. They took a step back from a design standpoint but moved forward with user loyalty. 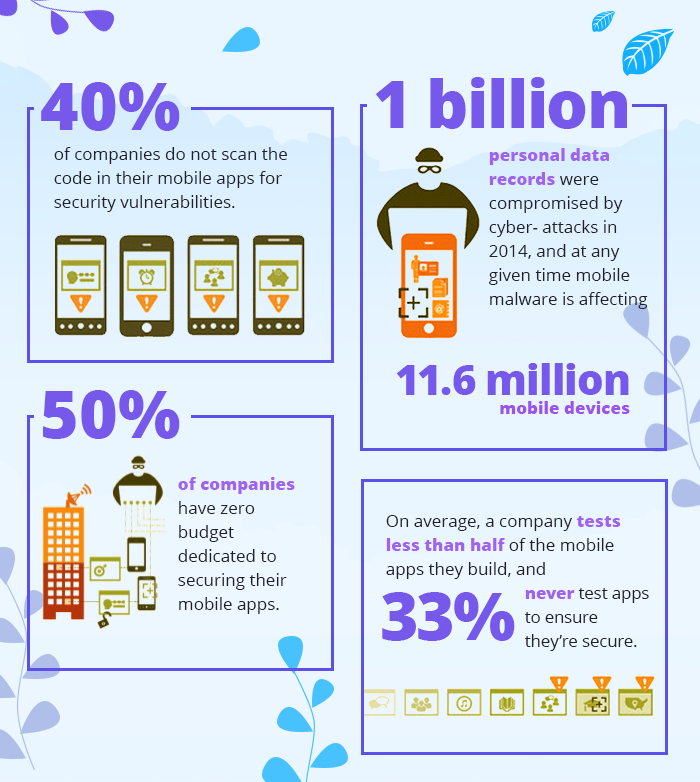 In 2017, about 75% of mobile apps couldn’t pass the most basic security tests. This means that in the process of app creation, the developer usually fails to test app on potential security bugs. Bugs missed in the process of app development can directly influence app reputation and user loyalty after app release. The most common mobile security vulnerabilities include weak server-side control and insufficient transport layer protection. Every year Google Play and the Apple Store promise to offer new strict security checkings, but low-security apps are still on the market. Next year app developers need to work harder to maintain the best protection against hacking, phishing, and the many different types of malware. The list of handy app security-checking tools includes ZAP, Micro Focus, Kiuwan and more. Android Instant app is a new Google Play feature that enables the user to benefit from the features of an app without needing to download the app. All you have to do is click on a web link and then your Chrome browser will start to download and run a specific part of an app with all of its functionality. Instant apps can work as a Freemium app monetization model: the app developer could choose to deliver only a few features to a user and then lock the rest of the app until the user downloads it. Instant apps are the real-world example of the evolution of the online experience. 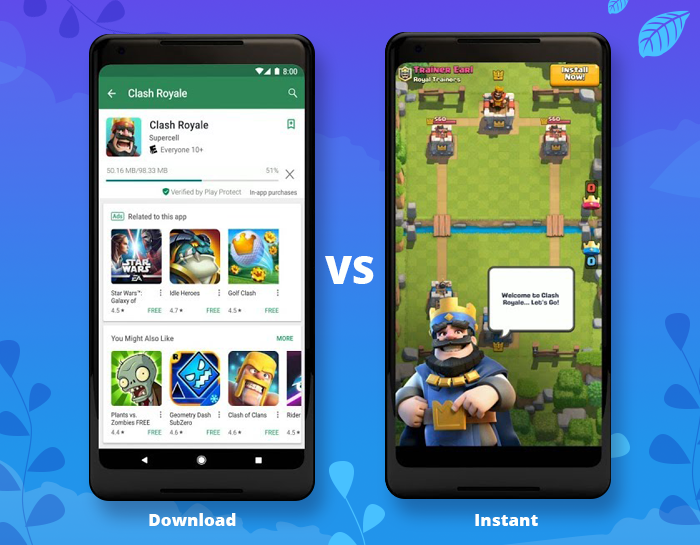 One of the concerns regarding instant app usage is that instant apps are working correctly with simple and lightweight apps, while game apps are usually designed with high graphics requirements. The benefits of the new feature are less clear for app developers who make money from ads. Instant apps can increase the engagement on certain app levels, but may reduce the retention rate: if there’s no need to install an app, then the user tends to come back rarely. However, the low access barrier and “try before buy” approach can lessen the accidental app downloads and app abandonment. So if your app is lightweight and simple in design, this feature is worth trying. Whether you are an old-school app developer or pioneer, remember to prioritize your mobile app upgrades. Hope you’ll implement at least one of these trends into your daily routine and get your app to the next level. What are your predictions for 2019? Share them in comments. If you enjoyed this article, feel free to hit that clap button 👏 to help others find it. 5 Mobile App Advertising Trends for 2019 was originally published in Marketing And Growth Hacking on Medium, where people are continuing the conversation by highlighting and responding to this story. Biz Tips: Why User Data is the Next Big Deal in Digital? Biz Tips: How Deep is the Need for Data Lakes in Your Business?